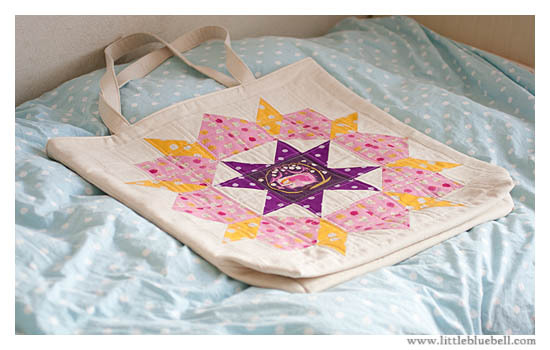 I made this for my friend Colleen to use as a quilting project bag. I don't know if the picture actually gives you a sense of the size... it's big! 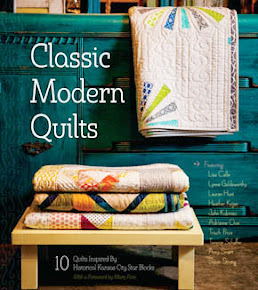 Colleen loves patchwork, linen, and most especially Heather Ross fabric. 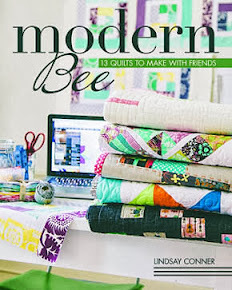 She's also a hand quilter and often brings a project to work on at our guild meeting/sew days. 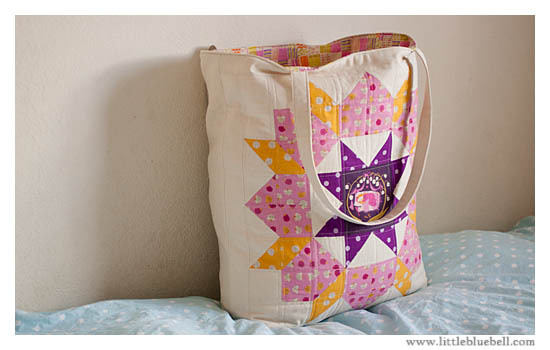 To make this bag, I resized a Swoon block (pattern by Camille Roskelley) to fit the fussy cut sleeping beauty. 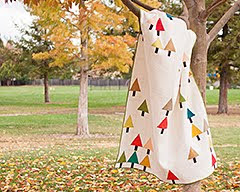 The outer fabric is a mix of Far, Far Away II by Heather Ross, Echino dots and natural linen. 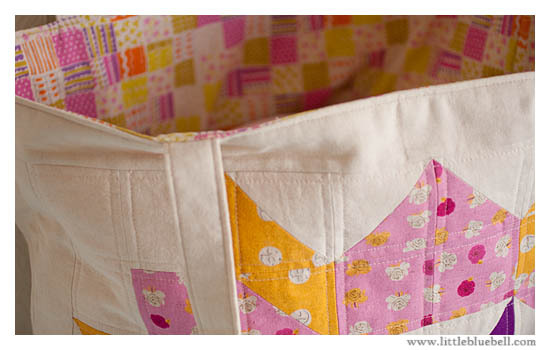 It's lined with the faux patchwork print from Heather's most recent line, Nursery Versery. I used fusible batting to give it some structure and quilted along each of the seams. Very cute, love the fabric you used and the fussy cut centre! Well done. very cute! 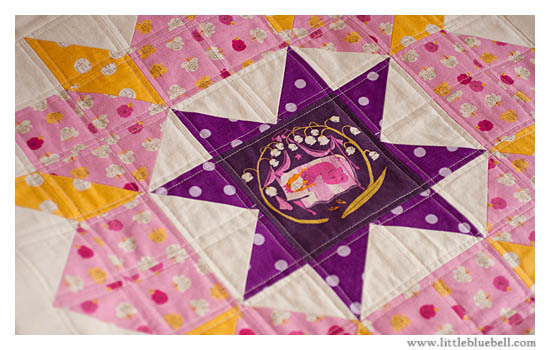 love the fabrics and especially the fussy cut sleeping beauty! How cute!! 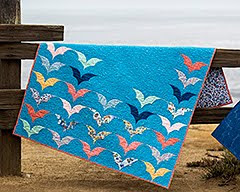 I love when people use quilt blocks in different ways! Stunning! So pretty. Great job. This bag would make anyone very happy. 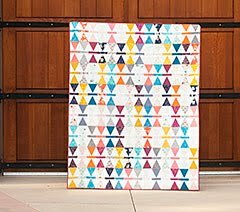 If you are interested, remind me to show you how I did my Swoon blocks, so there were fewer pieces. I don't know if you care about that, but I like the look of fewer seams. What a great bag! The colors are great! What a fabulous bag!! 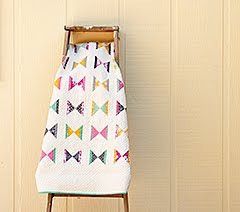 I have some of that linen and don't know what to do--what a great idea! Just so gorgeous! Prints, pattern, thoughtfulness. I loved this when I saw her with it while I was there! Just catching up on blogs and realized you made it. Looks great, what a fun gift for a friend!